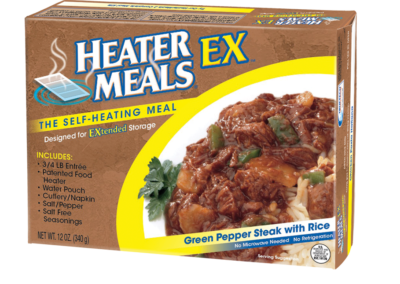 HeaterMeals® Self-Heating Meals combine our TRUETECH® Self-Heating Technology with homestyle meal kits designed for military and civilian use. 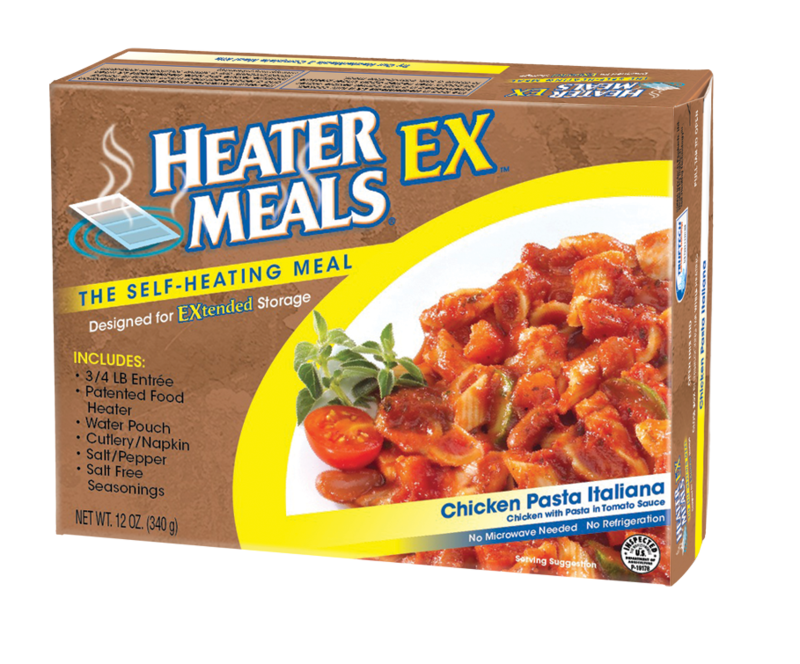 HeaterMeals® Self-Heating Meal Kits pair our TRUETECH® Self-Heating Technology with homestyle meal kits. HeaterMeals® are available to the U.S. Military, first responders, law enforcement, firefighters, outdoor enthusiasts, remote construction workers and anyone else who wants to enjoy a hot meal on-the-go. 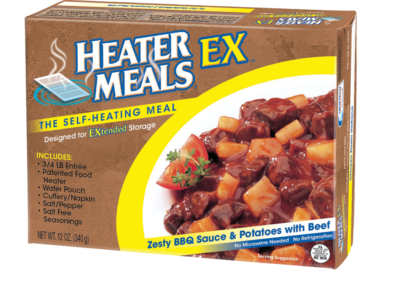 HeaterMeals® have regularly been named in the Government Food Service Magazine’s Top 100 Government Food Service Suppliers, which details the top food suppliers who sell to the Defense Logistics Agency (DLA). 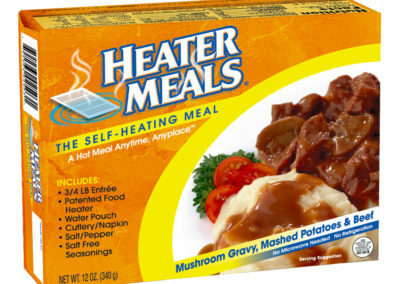 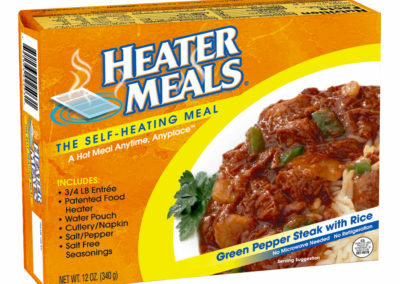 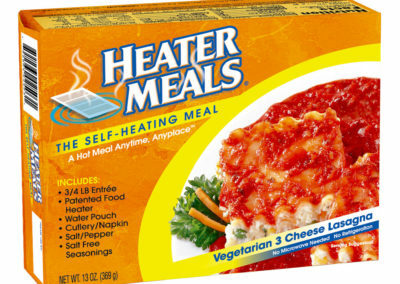 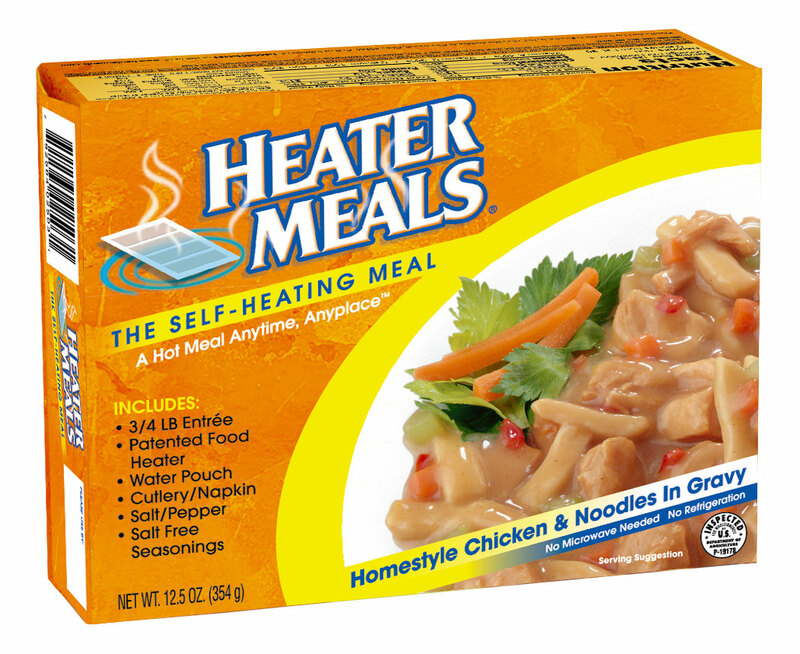 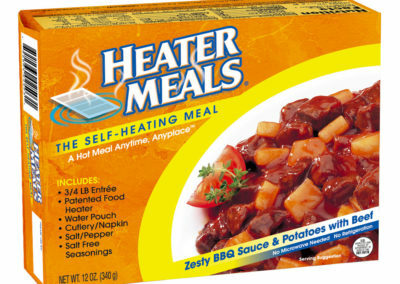 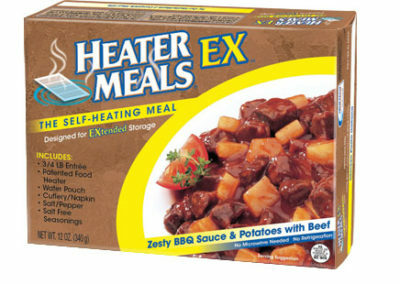 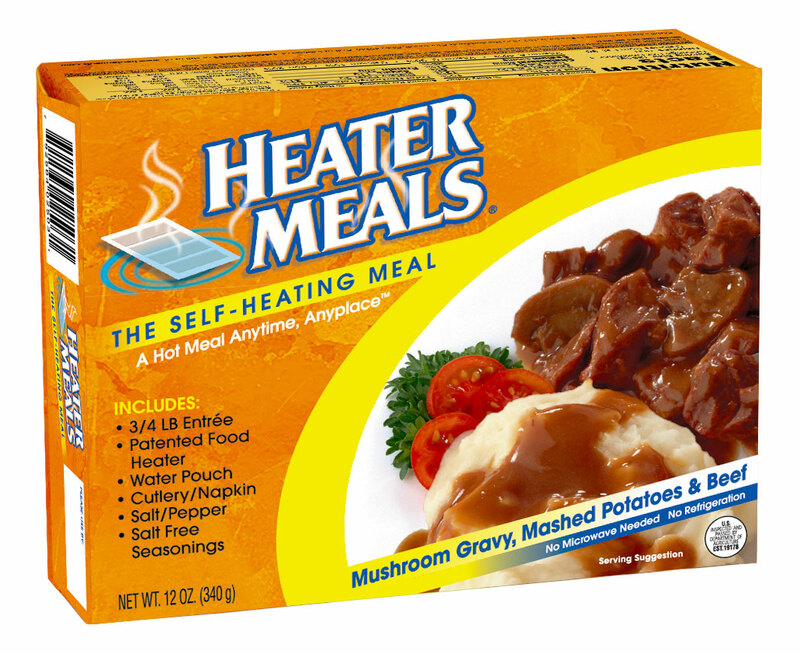 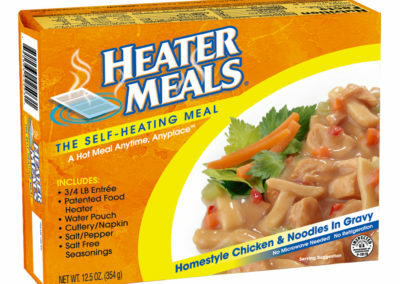 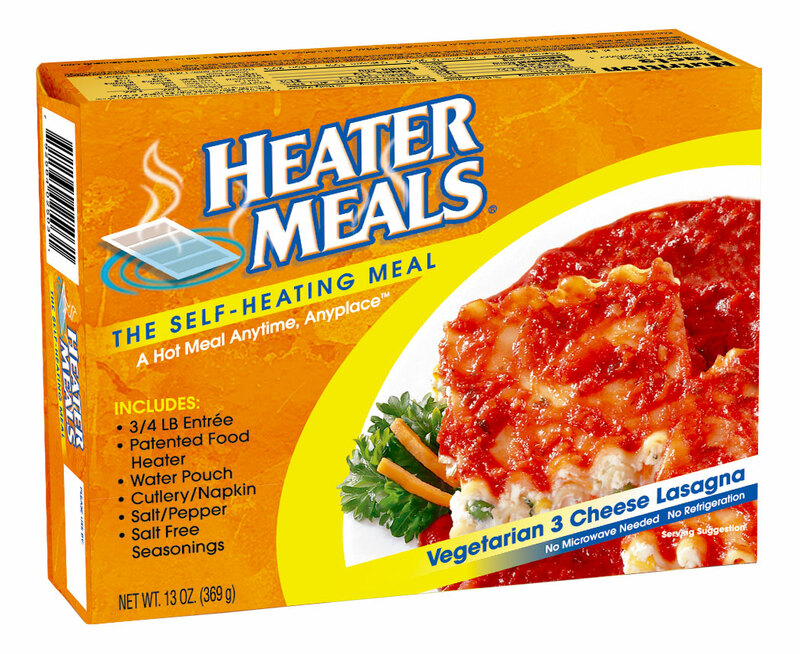 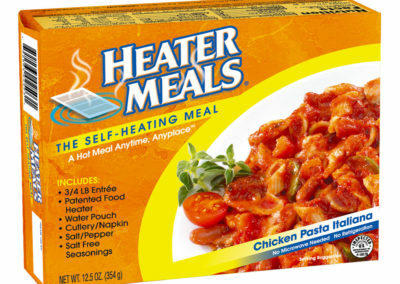 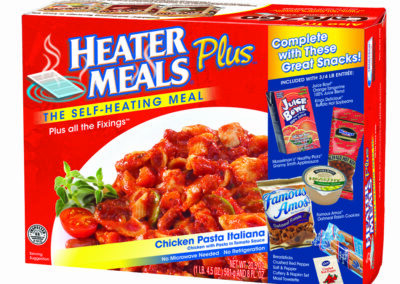 Visit the Home of HeaterMeals®, The Self-Heating Meal at www.heatermeals.com for more information. 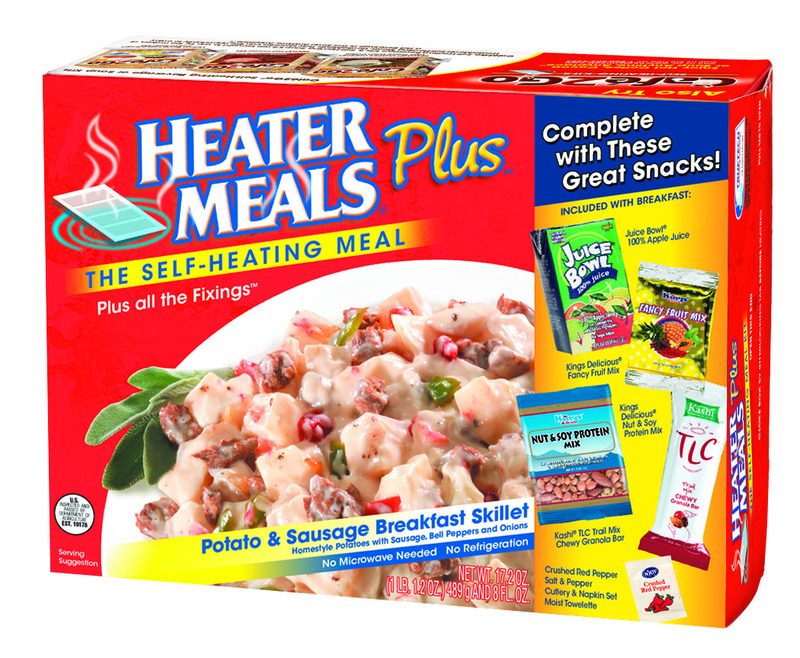 HeaterMeals® Plus is a complete meal kit that consists of a ¾-pound entrée combined with brand name snacks, a 100% Juice beverage, a food heater, a water packet to start the food heater and a utensil package with spoon, napkin, salt & pepper, salt-free seasoning packet and a moist towelette. 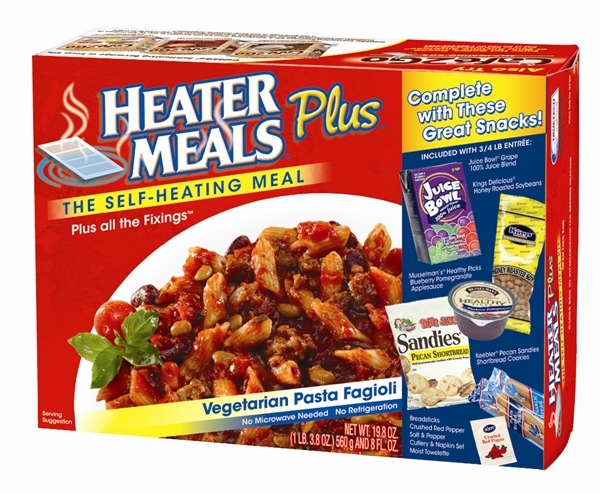 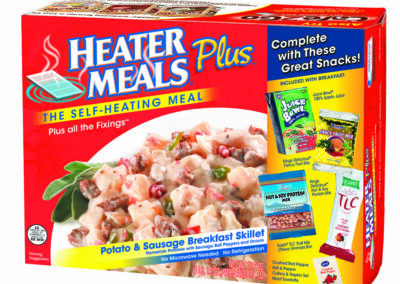 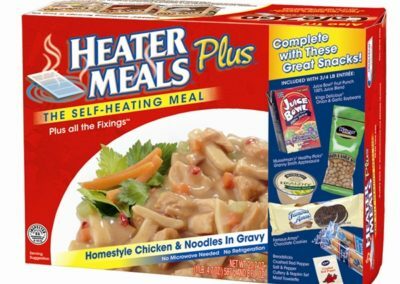 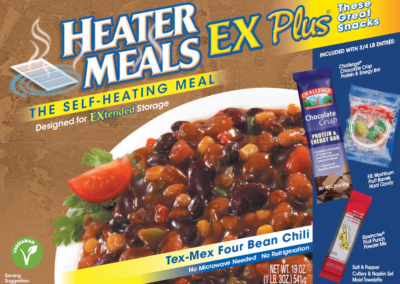 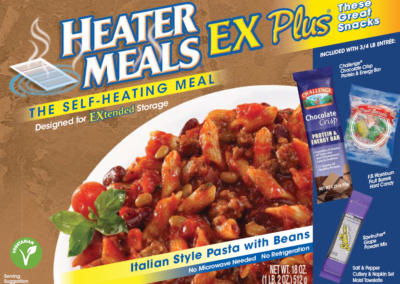 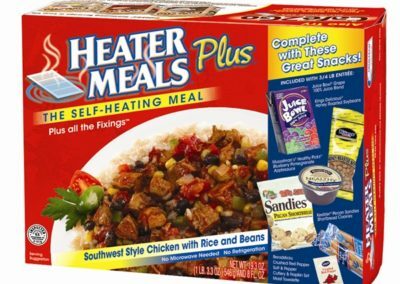 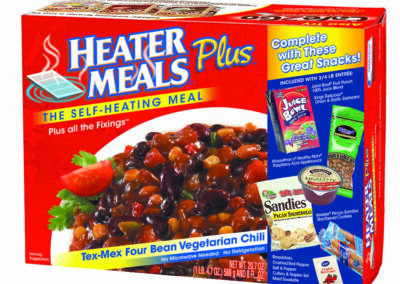 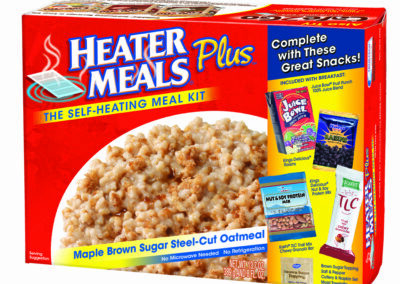 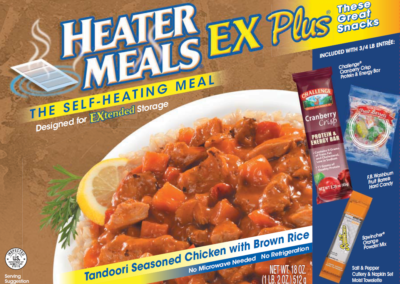 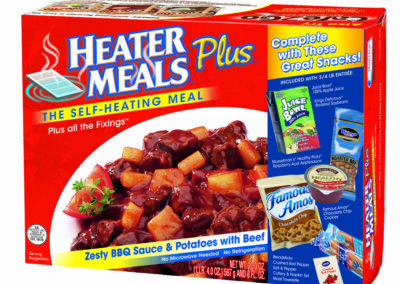 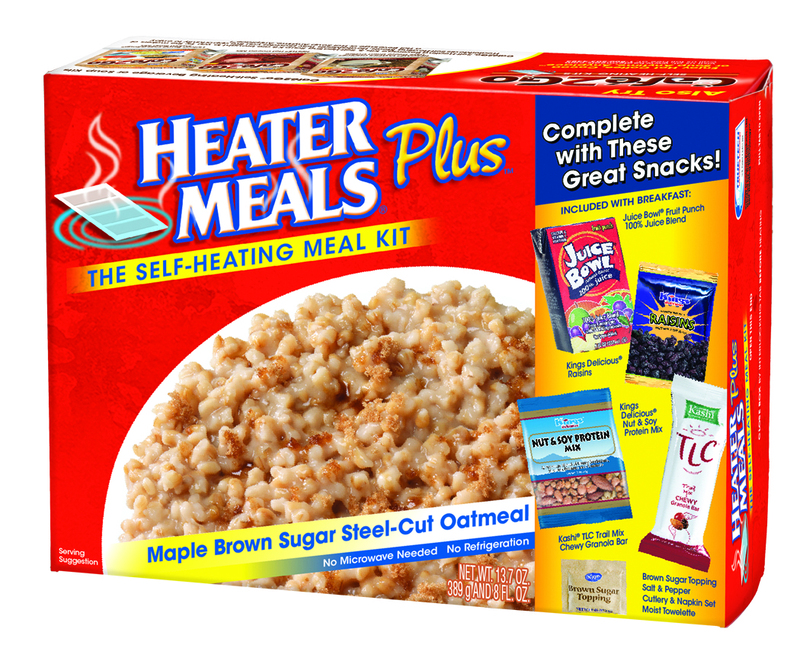 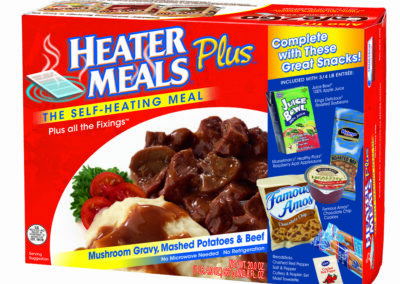 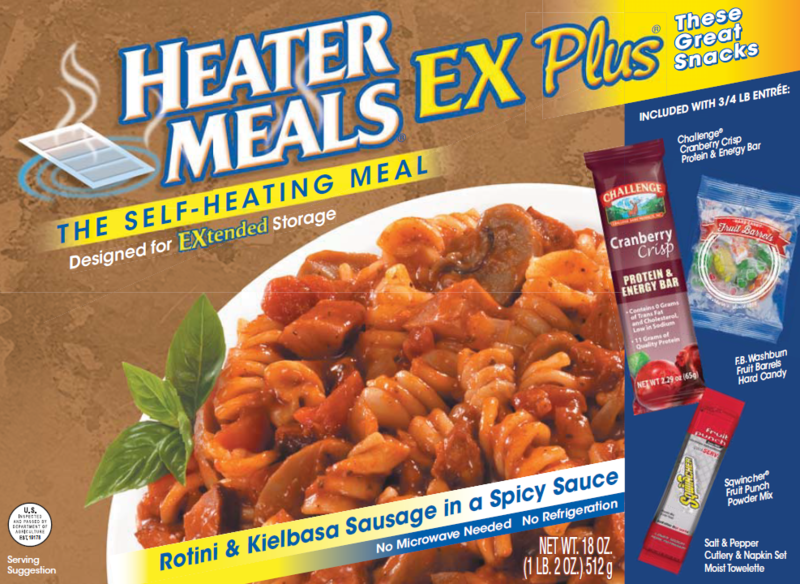 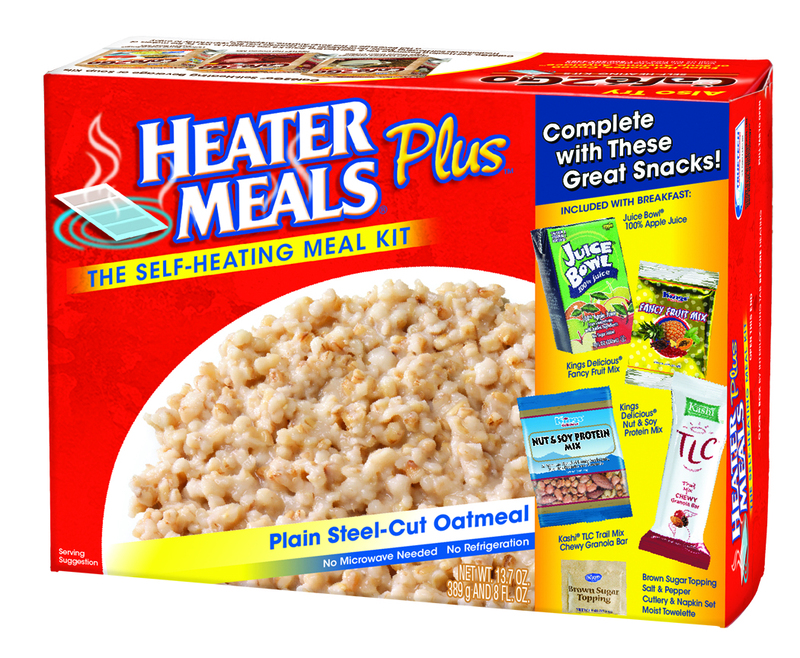 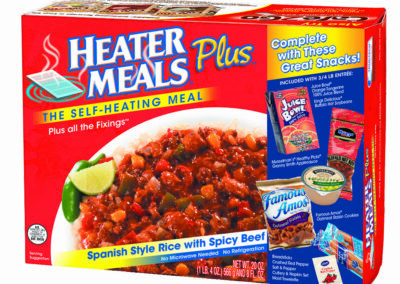 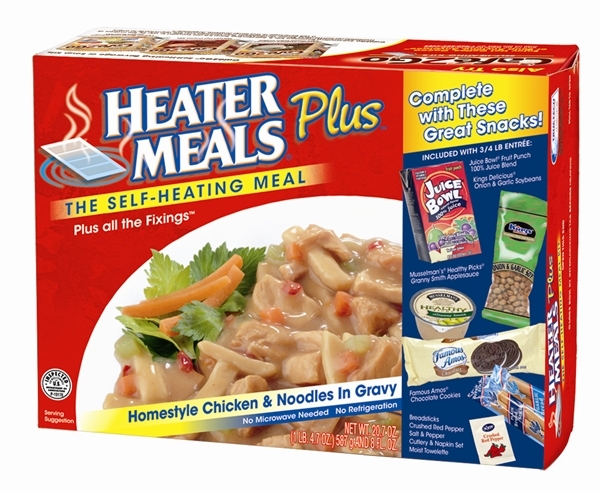 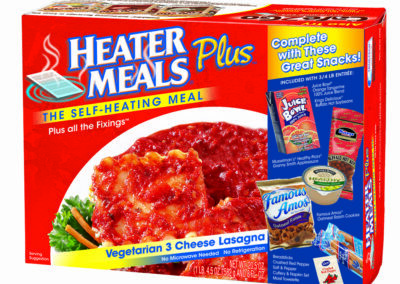 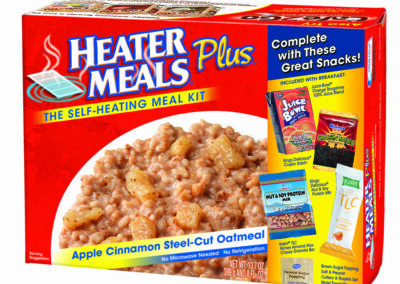 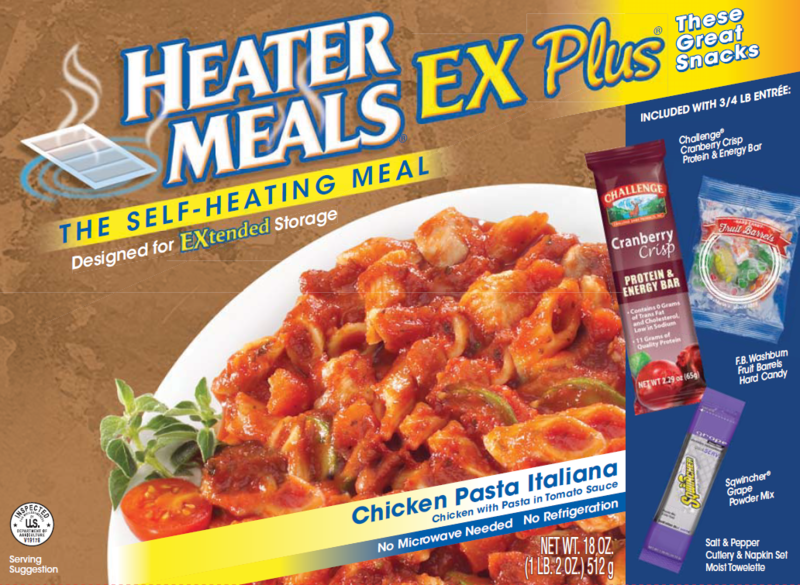 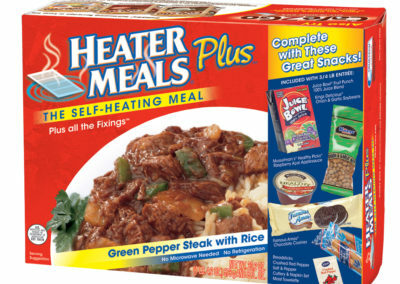 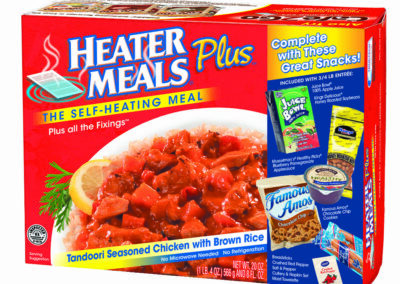 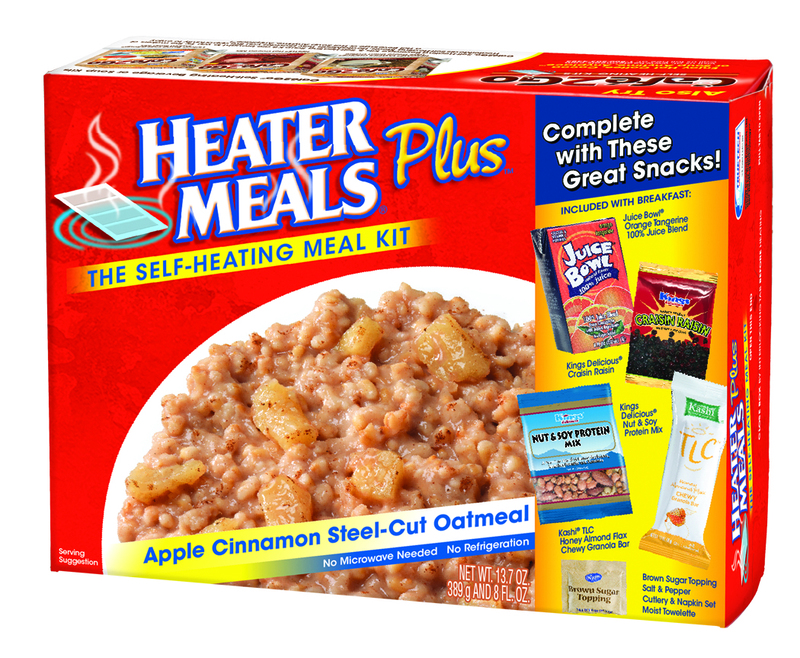 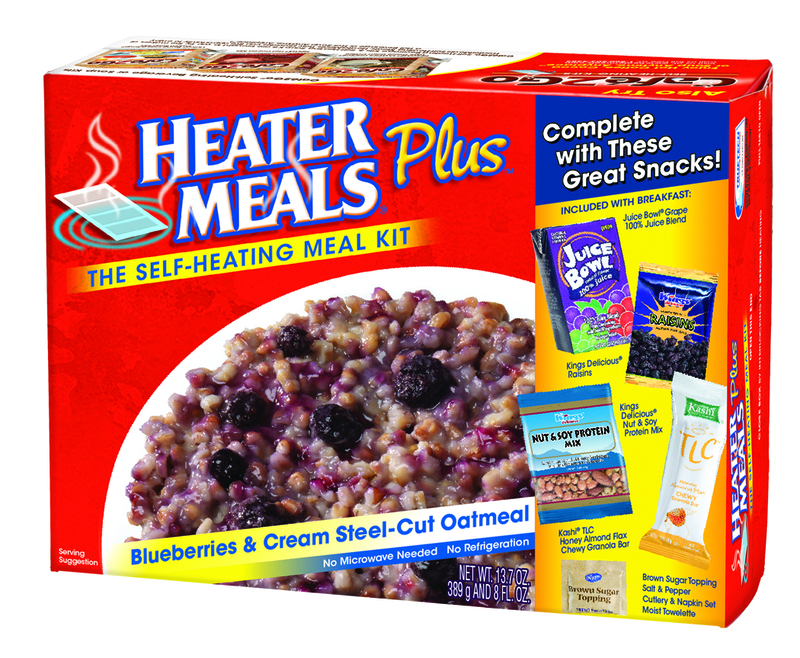 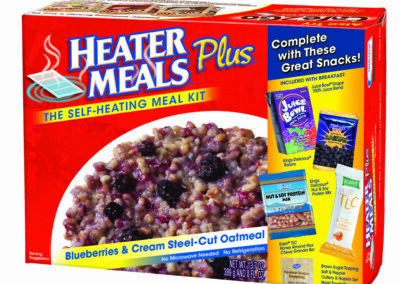 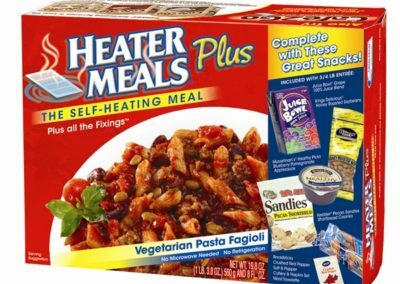 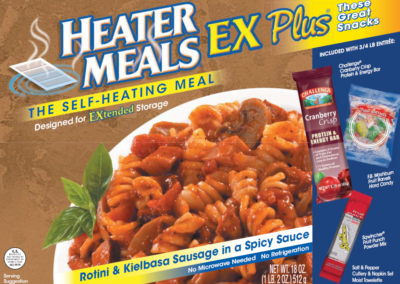 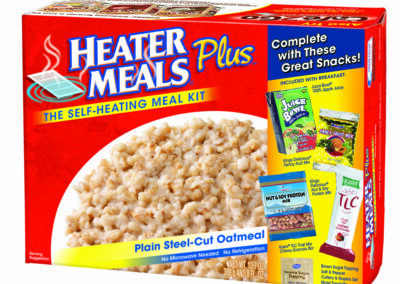 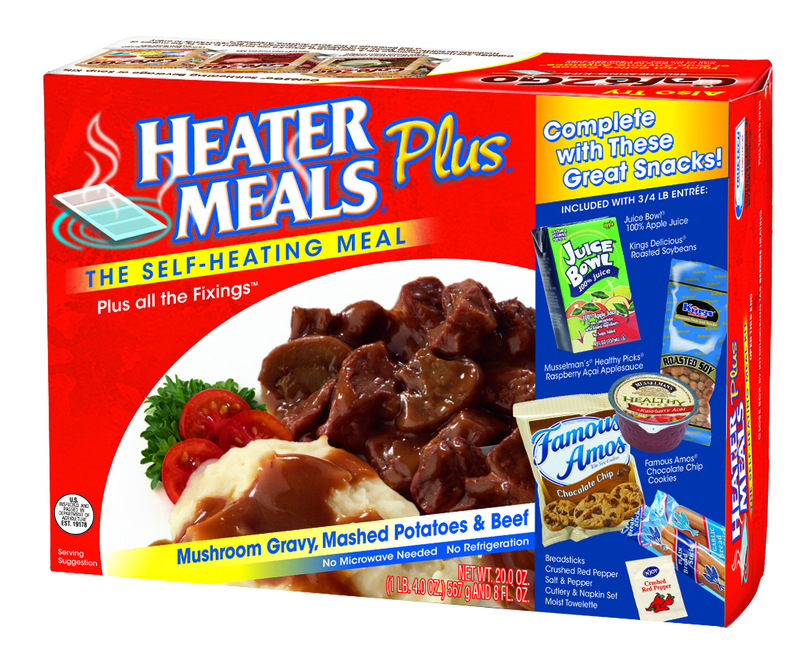 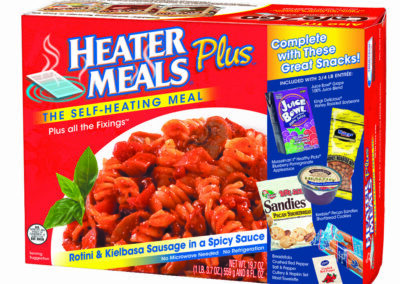 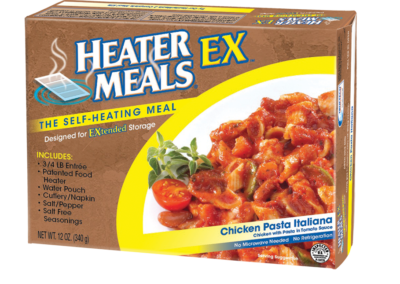 HeaterMeals EX Plus™ is a complete meal kit that consists of a ¾-pound entrée combined with brand name snacks, beverage mix, a food heater, a water packet to start the food heater and a utensil package with spoon, napkin, salt & pepper, salt-free seasoning packet and a moist towelette. 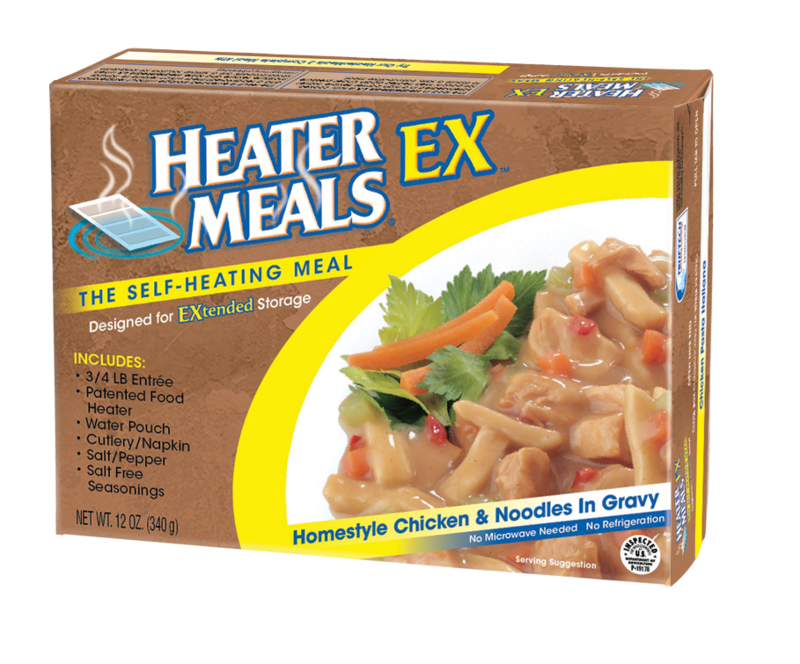 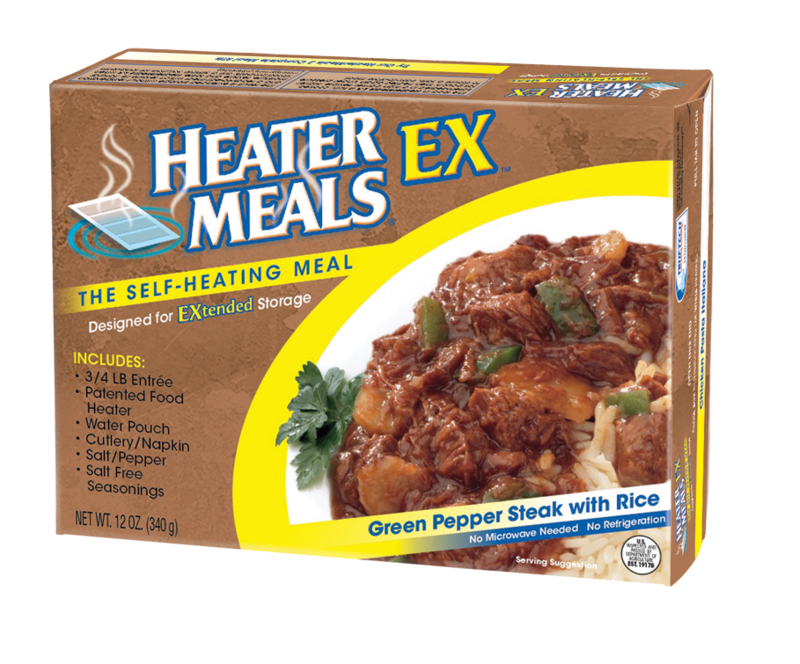 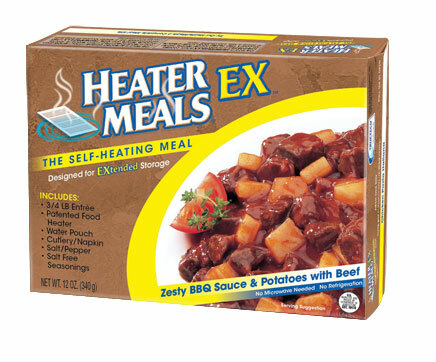 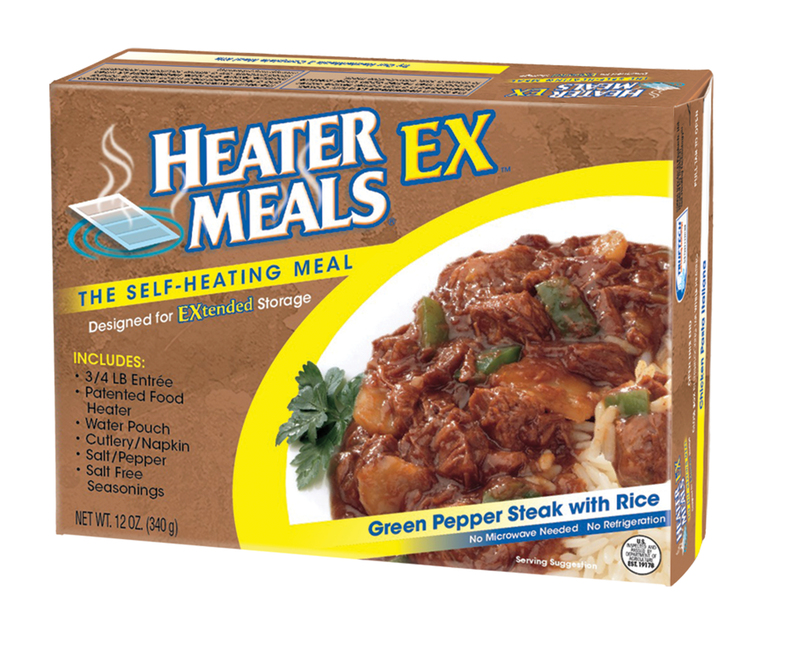 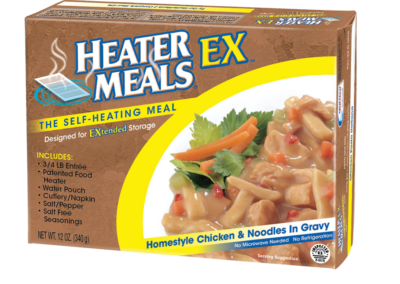 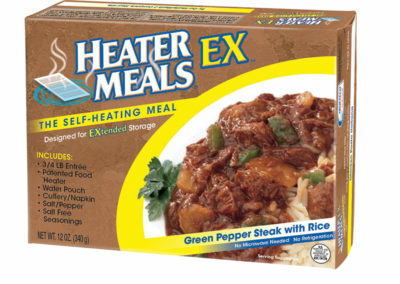 HeaterMeals EX™ come with a ¾-pound entrée, a food heater, a water packet to start the food heater, a utensil package with spoon, napkin, salt & pepper, salt-free seasoning packet and a moist towelette. 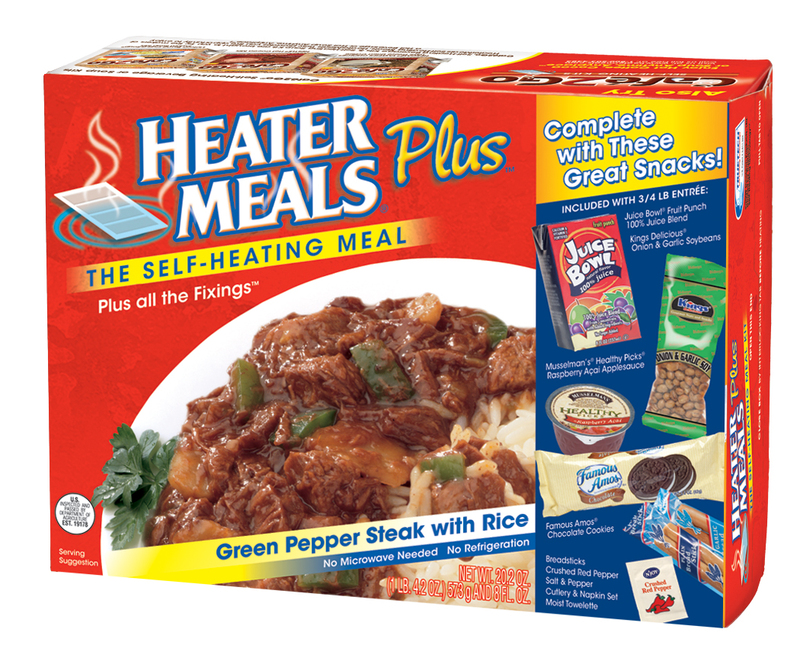 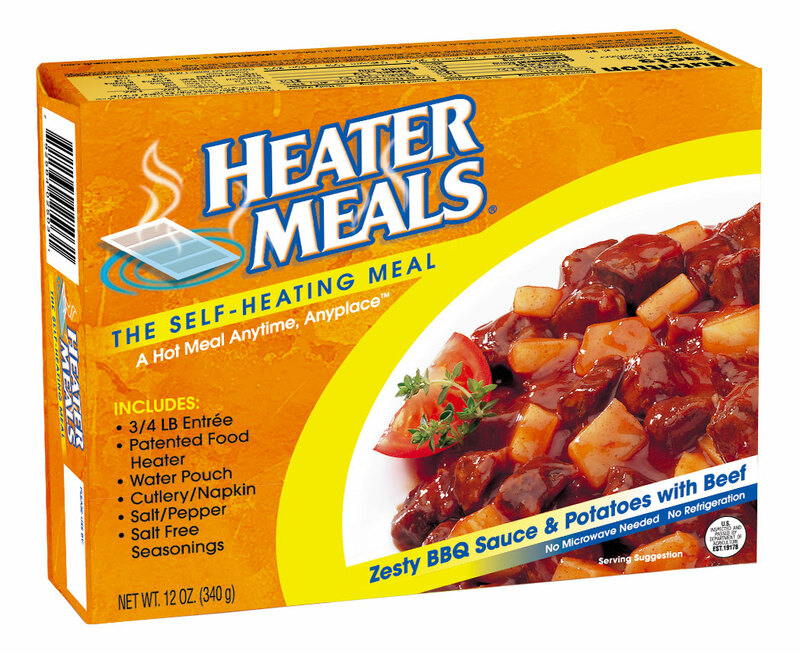 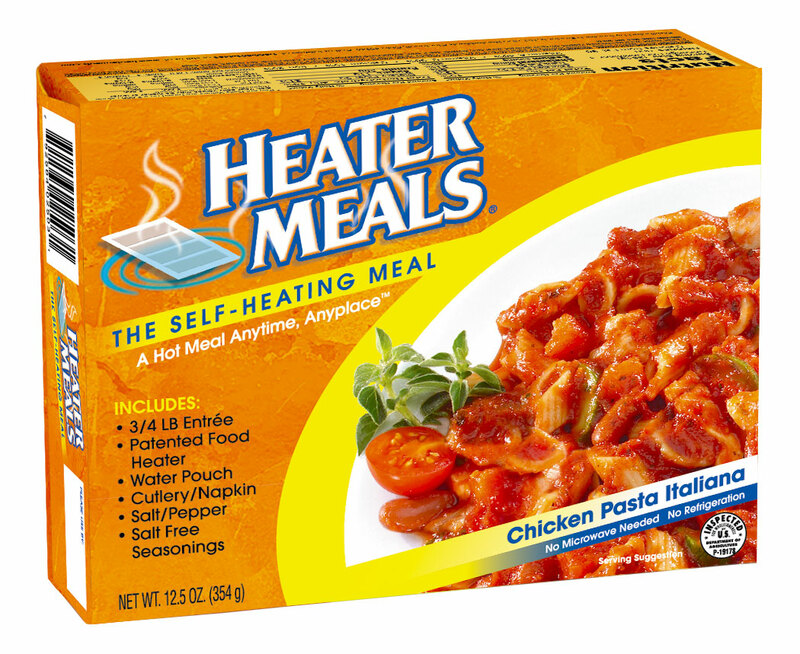 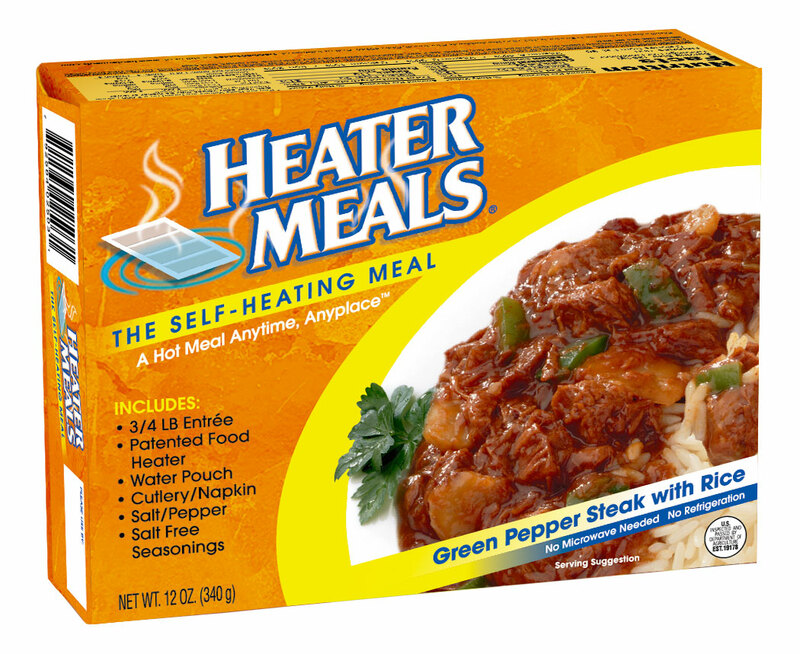 HeaterMeals® Entrées come with a ¾-pound entrée, a food heater, a water packet to start the food heater and a utensil package with spoon, napkin, salt & pepper, salt-free seasoning packet and a moist towelette.